No employee, even those who work in dangerous industries, such as construction, roofing, and health care expect to incur injuries while at work. Accidents are pretty common at workplaces, such as back injuries from lifting heavy containers, carpal tunnel syndrome after typing for several years or a broken arm or left from a fall off a ladder. You are entitled to workers’ compensation benefits when you suffer injuries while at your workplace. However, several employees do not know their rights, while others do not know how to go through the process of claiming the compensation benefits. Unfortunately, several workers are denied the compensation benefits and payments severely delayed due to causes that workers do not understand. The law protects employees who have been injured in their workplace. In an ideal world, injured employees do not have to seek assistance from a worker’s compensation attorney. The compensation benefits ought to pay your hospital bills and compensate for the time off at work due to injuries sustained. Unfortunately, things do not work out that way, which leaves injured employees short of cash and other benefits that they are entitled to after a workplace injury. One of the best ways to protect yourself after a workplace accident is hiring an experienced brooklyn worker’s compensation lawyer immediately you are involved in a workplace accident. Some instances are vital to hire a worker’s compensation lawyer such as when a claim is denied, the permanent disability rating has been quested, and a pre-existing condition is complicating the compensation claim case. Workers need the services of a Brooklyn worker’s compensation attorney in situations where the insurance company is blocking them from getting treatment for their injuries. The other instance when a worker’s compensation lawyer is necessary is when other government benefits may be tampered with so that the reductions are minimized and ensure that you high benefits. You will also require a worker’s compensation attorney when the compensation hearing is a trial. The compensation hearing is as important as the trial, which means that your livelihood and future are at stake. Therefore, you need an attorney to represent you at the proceedings so that your best interests win. One of the most significant benefits of hiring a worker’s compensation attorney is that you get defense against the defense work injury attorney appointed by the insurance company. The defense work injury attorneys and workers compensation adjusters hired by the insurance company are highly experienced. As such, they will take you in circles because you are not an expert in the field. However, when you hire a worker’s compensation attorney, you are guaranteed that your case will be treated fairly and that you will receive the compensation benefits that you rightfully deserve. Insurance companies have a profit model that entails taking in significant dollar premiums from employers and paying employees as little as they can. The chances are that the insurance doctor you will see will inform you that your health concern is pre-existing, you were born with the problem, the issue is part of the aging process, and other excuses to ensure that the work injury claim you filed is documented as not the fault of the employer. You will automatically not receive any benefits once the insurance company doctor documents in his or her medical report that you did not suffer any work-related injuries. Fortunately, a brooklyn worker’s compensation lawyer can help you to choose the right work injury doctor. You need a worker’s compensation lawyer who is well conversant with the court and has several years of trial experience. Workers are advised to avoid representing themselves in court without the help of a worker’s compensation attorney. Most workers are usually afraid of hiring a Brooklyn worker’s compensation attorney because of the cost implications. On the contrary, the cost of hiring the attorney is cheaper than that of a personal injury lawyer who charges between 25 to 50 percent of the final compensation the employee gets. A workers compensation lawyer, on the contrary, only requires an average of 15 percent of the compensation benefits you get after settling the case. Additionally, the lawyer, unlike a personal injury attorney, helps employees after their claims have been denied in court. An injured worker needs to hire a lawyer to help him or her to fight for his or her rights. A workers compensation lawyer understands the ins and outs of the compensation law. As such, the attorney understands how to approach the case and make sure that you get fair compensation. You will not be exposed to bribes given by the insurance company to cover up your argument. Workers compensation lawyers are honest in how they represent the case in court. When you hire a worker’s compensation lawyer, the expert will handle the worker’s compensation appeal judges and boards. A local and experienced Brooklyn worker’s compensation attorney is usually familiar with the local compensation board and its judges. The board is the court where workers compensation cases are heard. A workers compensation lawyer saves you from the stress of dealing with paperwork on the board. The lawyer takes over your case entirely so that you have peace of mind and nurse your injuries while the lawyer makes efforts to make sure that you get your compensation benefits. The lawyer will also assist you in obtaining other benefits if you are unable to work because of the injuries sustained. The benefits might be the state disability payments if the claim is denied or temporary disability from the insurance company. One of the most significant benefits of hiring a worker’s compensation lawyer is that you enjoy legal advice. It is important to have informed and clear legal advice when filing for a claim. Additionally, the lawyer will advise you on whether to speak to an insurance representative or not. The attorney protects you from settling deals with the insurance representative that does not favor you because the representatives know how to maneuver ways of offering fewer benefits than required. 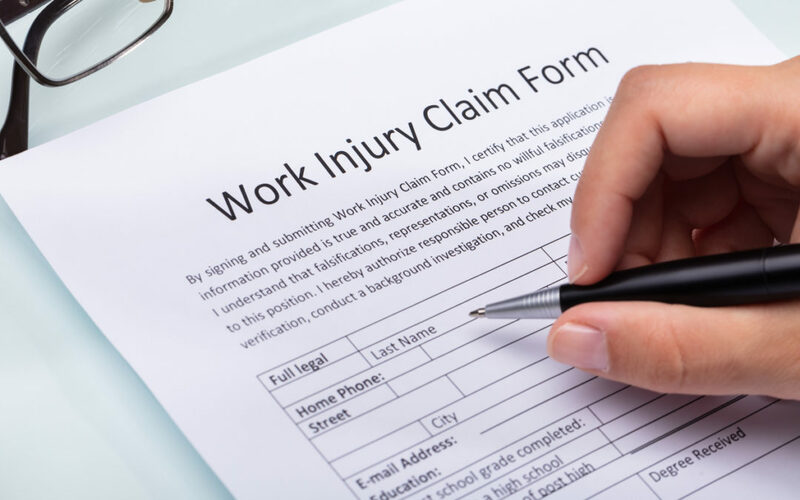 Injured workers also benefit from the legal representation of a worker’s compensation lawyer when requesting a hearing when a claim has been delayed or denied. You will easily navigate your compensation case from the start to the end when you hire the right workers compensation lawyer. Additionally, you are guaranteed of getting the best possible outcome. The best part is that workers compensation lawyers do not charge consultation fees, which makes it affordable for injured workers seeking compensation. Sometimes the worker’s job is the only source of income, so they are torn between paying for the medical expenses and a compensation lawyer. To enjoy these benefits, you must make sure that you hire the right lawyer who puts your interests first before anything else.